The minister also said whenever the Congress leader went abroad, he unnecessarily criticised Prime Minister Narendra Modi. 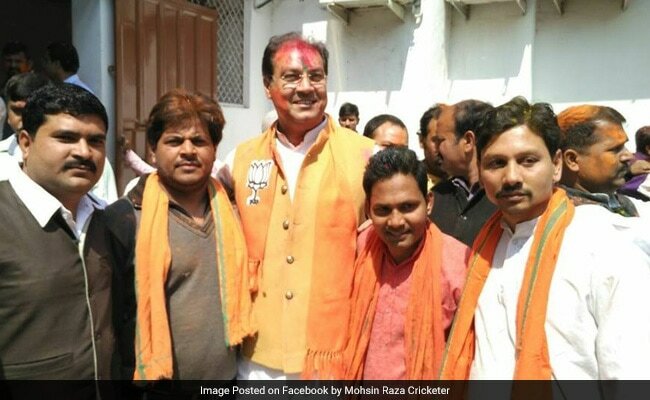 Amethi: Uttar Pradesh Minister Mohsin Raza today targeted Congress Vice President Rahul Gandhi, saying he has no "affection" for the people of Amethi. The minister also said whenever the Congress leader went abroad, he unnecessarily criticised Prime Minister Narendra Modi. The Uttar Pradesh Minister for Science and Technology was talking to the media after concluding a three-day fair organised by the district administration to celebrate the birth anniversary of Pandit Deen Dayal Upadhyay. "Rahul Gandhi has no affection for Amethi people and he unnecessarily criticises Prime Minister Narendra Modi whenever he (Rahul) visits abroad," Mr Raza said. The minister claimed that the Adityanath government has improved law and order in the state and curbed corruption within a short period of six months. He said Pandit Deen Dayal Upadhyay's main aim in life was to provide justice.